International Programs & Services, together with 40 international students, visited the U.S. National Whitewater Center earlier this month. 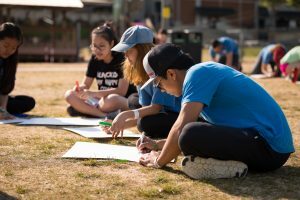 During the day-long event, students from 24 countries, participated in a number of activities focusing on cultural adjustment, balancing education and life, and celebrating diversity. In addition, CPCC had advisors on site to answer students’ questions and connect them with the resources they need at CPCC. The Diversity Committee is showcasing our international students. 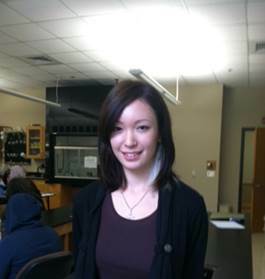 Meet Erika Southern from Japan. We bow to greet one another on most occasions once formally introduced. More nonverbal communication is done. Summer festivals, there is lots of food, music and dancing. The diversity was shocking, we usually see people of our own kind. Friendly communication is more here than experienced in Japan. The freedom, you choose how you want to live. Did you know CPCC has students from all over the world? In celebration of this, the Diversity Committee will highlight the top 10 countries that represent our international students. India, officially the Republic of India, is a country in South Asia. It is the seventh-largest country by area, the second-most populous country with over 1.2 billion people. Indians made significant contributions to calculus, trigonometry, and algebra. The decimal system was invented in India in 100 B.C. The concept of zero as a number is also attributed to India. In schools, teachers are called gurus and are viewed as the source of all knowledge. Cricket is India’s most popular sport. Rivers have played a vital role in India’s popular culture and folklore—they have been worshipped as goddesses because they bring water to an otherwise dry land. Bathing in the Ganges in particular is thought to take away a person’s sins. A lot of Indian food is eaten with the fingers. The left hand is considered to be unclean in India as it’s used to perform matters associated with going to the bathroom. Therefore, you should avoid your left hand coming into contact with food or any objects that you pass to people. 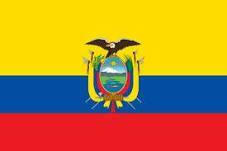 The current flag of Colombia was officially adopted on December 17, 1819. The flag features three horizontal Bands of yellow (double-width), blue and red. The yellow represents all the gold found in the Colombian land. The blue represents the seas on Colombia’s shores because it is the only country in South America to border 2 oceans. 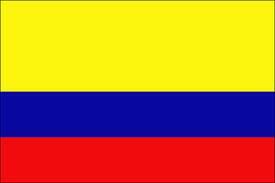 The red represents the blood shed by the people who fought for the independence of Colombia. Being in the middle of the planet, on the Equator, Colombia has a constant 12 hours of day and night. In 1957 women were given the right to vote. 95% of the world’s emeralds come from Colombia. 12% of the world’s coffee is produced in Colombia and coffee production contributes to more than 20 % of Colombia’s government revenue. Football and cycling are the most popular sports in Colombia. 92% of the people of Colombia are Roman Catholics. Colombia is the world’s third-leading producer of lingerie. Most Colombians have both a maternal and paternal surname and will use both. The official language of Colombia is Spanish, of which Colombian Spanish is the local variety. The indigenous languages spoken in Colombia are also official in the territories in which they are spoken. There are approximately 80 different indigenous nations in Colombia. Colombia has the world’s greatest diversity of orchid species (3,500) and birds (1,750). The name Colombia has been derived from the name of Christopher Columbus. The name underwent few changes until the Republic of Colombia was adopted in 1886. The cuisine is as diverse as its culture. The various food items seen here have been developed mainly due to the influences from Spain, Italy and France along with American cuisine, Caribbean influences and the traditional style of the Native Americans. 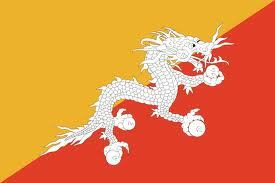 Bhutan is a landlocked country located in South Asia, north of India and south of China. Bhutan is one of the most extraordinary countries in the world surrounded with breathtaking Himalayan Mountains and unique architectures, culture and the untouched nature of the country. Bhutan is one of the world’s smallest and least developed economies. 63% of its labor force works in agriculture. Average life expectancy is 65 years and the literacy rate is 47%. Archery is the Bhutan’s national sport. Competitions are held frequently. These events usually prove fun and raucous. Bhutan is the home of the golden monkeys that are rare animals that can only be found in Bhutan and northern India. Festivals are celebrated all year round in Bhutan. The festivals reflect colorful masks and the rich Bhutan culture. Dances are performed by the Buddhist monks to protect the valleys and ward off evil spirits. Bhutan is a haven for trekking and mountain climbing. Bhutan is considered to be a world leader in terms of conservation practices. In 2011, 72% of the country is maintained as forest land forever. In 1980, there was only one country in the world with no telephones – Bhutan. This country is located in western Africa and is renowned for its detailed decorative and ornate masks, large and miniature wood carvings of realistic human faces, people, scenes of everyday life and accessories particularly combs, spoons and forks which are often enlarged sculptures. The government of Africa’s first republic was modeled after that of the United States? “The sleep is in my eye” = I am tired. 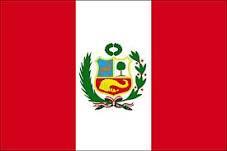 That Peru’s petroleum industry is one of the world’s oldest, and its fisheries are among the world’s richest. Many families in Peru live on $1 a day, and even public schools require some payments such as registration fees, uniforms, books, school supplies, bus fares, etc., which make it impossible for many children to attend. A typical school year in Peru runs from April through December. 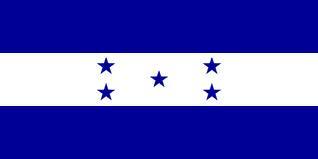 HONDURAS – Honduras is strategically located in the heart of Central America, surrounded by high tropical mountains. Its northern border is the Caribbean Sea. Official language is Spanish. The typical school year runs from February through November. Education is compulsory from ages seven through 12 and only 58 percent of primary-school-age students reach the fifth grade. Undergraduate education is only reached by 5.3 percent of the population and graduate studies by 0.2 percent. Mexico has been home to advanced civilizations – including the Olmec, Maya, Toltec and Aztec – for thousands of years. Mexico remained under Spanish control for nearly 300 years until the Mexican people rose up against the Spanish in 1810. The country celebrates the Independence Day on September 15-16. Education is mandatory from ages 6 through 18. Education is one of the Government of Mexico’s highest priorities. A rapid rise also occurred in higher education. Between 1959 and 2000, college enrollments rose from 62,000 to more than 2.0 million. Did you know that Mexico City sinks 10 inches each year because it is built on a lake? Mexico is the largest salt producers in the world. Mexico City hosted the nineteenth Olympic Games in 1968. It is the only Latin American country to do so. 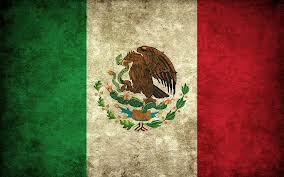 Mexican children are given both their father’s last name and their mother’s maiden name. This tradition helps preserve the heritage of both parents. The National University of Mexico was founded in 1551 and is the oldest university in North America.